Take plentiful shots of every exterior view of the building. Set the camera to include a date stamp on the image. Take shots of the unit number on the door of each apartment where you will shoot pictures. Bring Post-It notes and a marker with you. Write a note, which will appear in each photo. The most important information for the note will be anything pertaining to location. Unit number and room, or unit number and elevation (N,S,E,W) are good. 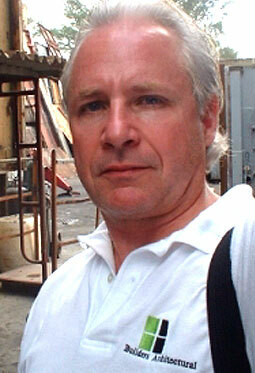 Include location labels within your documentary photos. Here, evidence of mold in wall is shown. If you want to make a special point, write it on the note and include it in the picture. Bring a flashlight to better illuminate areas of focus if needed. Shoot in a resolution appropriate to the subject. People tend to be proud of their zillion-megapixel cameras and take pictures which are WAY too big. For documentary pictures, shoot exterior views in a medium resolution in case you need to zoom in later, and in low resolution for interior detail shots. Take along extra batteries, memory cards, and even an extra camera. You can’t afford to miss the opportunity to capture important images. Consider a strategy whereby you include a picture number in the note included in the picture. Then you can reference this picture number on your window leakage survey form. This is a great way to keep information unified. Be sure to get a “wide” shot of the area you are documenting. Too often people collect a pile of close-ups, with no frame of reference. If you think the image might be unclear, use a pencil or pointer in the photo to direct the eye to the focal area. 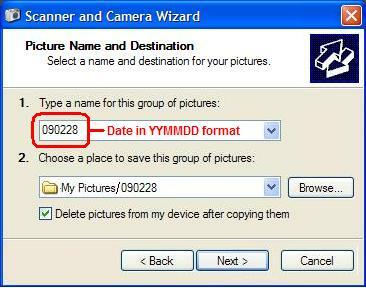 Save your pictures to a folder named for the date in YYMMDD format. When you upload your documentary photos to your computer, save them to a folder which is named with date you will want included in each filename. I use the date in YYMMDD format for these folder names. The image files then are saved in YYMMDD ### format. No matter how I move the pictures around, as long as I preserve the file name, I always know when the image was shot by looking at the file name. 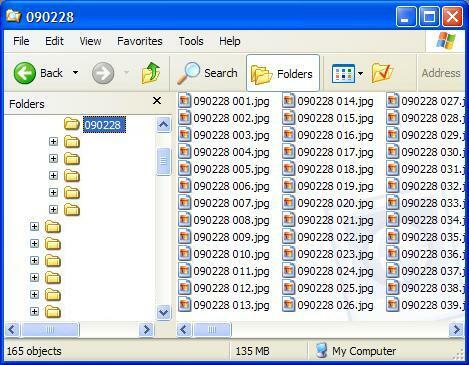 Documentary photos with date embedded in file names in YYMMDD format.